"On a particularly boring day, I had a clever but unfortunate inspiration. I seized a piece of cardboard, some tubes of tint and petroleum base - since I lacked real oil - and, confronting a typical Montmartre street corner, I suddenly found myself a practitioner of this difficult and thankless art of painting." 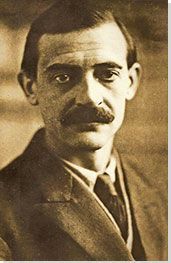 Maurice Utrillo's life could not have been more bohemian. A romantic concept, la vie bohème was for many people who lived such an existence in Paris of the late-19th and early-20th century far less dazzling in reality. Born to the former circus acrobat turned artist's model and eventually avant garde artist, Suzanne Valadon (she was only 18 at the time) Utrillo never knew who his father was. It was rumored that it could have been anyone from Puvis de Chavannes to Renoir to a young and little known painter named Boissy. When he was 21, Utrillo took up painting at the encouragement of his mother, who had learned to paint while posing for artists like Morisot, Toulouse-Lautrec, Renoir and Degas and had become a skillful artist in her own right. Eventually, the two shared a studio in Montmartre. At age 22, he sold his first painting and by 1909 he was exhibiting his work at the prestigious Salon d'Automne. By 1910, he had achieved considerable critical acclaim, having developed a style of landscape painting that combined features of Post-Impressionism and Cubism. His landscapes and cityscapes earned him lucrative sales and national notoriety, including the Cross of the Legion of Honor from the French government in 1928. Despite having been shunned by the French artistic establishment during much of his career, he is considered one of the pioneers of The School of Paris, the pre-World War I, modern artistic movement characterized by experimentation and pluralism. The first couple of decades of the 20th century were tumultuous and formative: Modern Art took form in Paris, which was a sort of cultural laboratory for creative types. Utrillo was associated with a group of notoriously decadent artists known of as "Les Maudits" - "The Cursed Ones" - along with his mother, Suzanne Valadon, Chaim Soutine, and Amadeo Modigliani. Utrillo's most frequent subjects were buildings in the Paris neighborhood of Montmartre, well known as a refuge for the city's bohemian types - artists, writers, poets, and the like. Some of his favorite haunts such as the Lapin Agile, where he was likely to encounter more established artists like Picasso and Toulouse-Lautrec, are represented numerous times with only slight variations from canvas to canvas. The quintessential struggling artist and also taking a cue from avant garde innovators like Picasso and Degas, Utrillo often used unusual if not everyday materials like cardboard in place of more expensive canvas to produce his paintings. Unlike his idols and mentors, however, Utrillo was virtually untrained and his greatest achievement must surely have been adapting his unrefined technique to successive avant garde styles - Impressionism, Cubism, Expressionism - to attain considerable critical and financial success. In 1896, when Utrillo was a young teenager and already struggling with alcoholism and getting into trouble in wild, bohemian Paris, he moved to a house on la Butte Pinson, a hill in the suburb of Montmagny along with his mother, stepfather, and maternal grandmother. It was in Montmagny where he first began painting, creating a series of works between 1905 and 1908 that were evidence of his natural abilities as he was largely untrained artistically. In this painting, which demonstrates the profound, lingering influence of Impressionism with its softened brushwork, including the blurred lines and hazy light, Utrillo places leafless trees in the foreground between the viewer and the colorful huts in the distance. The huts are the bright spots in a winter scene featuring mostly cloudy skies - there's just a hint of light blue in the upper right corner - and a snow-covered ground. The graceful movement of the tree branches, which lighten as they reach the sky, draw the eye upward. By the age of 25, Utrillo had begun experimenting with more complex motifs. Once again, the influence of Impressionism - particularly Monet's cathedrals - is revealed in his work. In 1895, Monet's Rouen Cathedral series had been displayed at the gallery of Paul Durand-Ruel in Paris and he is very likely to have seen it. In this unfinished work, Utrillo only vaguely describes the elaborate architectural sculpture on the facade of Paris's famous landmark - from statues of saints and royalty to the scenes represented in the half circles over each portal - that is such a recognizable feature of the front of the famous cathedral. Instead, he obscures most details, preferring instead to describe the effects of light in keeping with the most fundamental goal of Impressionism. The only spot of warmth in the picture aside from the slightly yellow masonry not cast in blue shadow, are the brown-orange doors of the famous cathedral, particularly those of the middle portal, which creates a sense of balance and symmetry or, rather, reaffirms the overt symmetry of the structure. With this work, Utrillo also makes a break with Impressionism in a major way: whereas Impressionist works, while somewhat obscuring of details, still provided the viewer with a sense of depth, of three-dimensionality. In contrast, Utrillo's cathedral facade reads as nearly flat and made up of solid forms connected to one another by trails of color, not unlike the way Cézanne constructed landscapes using roughly geometric forms fit together on the picture plane. This painting features a view of a deserted Place du Tertre, a usually lively public square at the top of the hill of Montmartre. According to the Tate Museum, Utrillo probably did not stand in the square and compose this painting, although you are likely to see artists doing that very thing if you visit the Place du Tertre either today or 100 years ago. Instead, it is likely that this composition was based on a picture of the square Utrillo saw on a postcard, although, admits the Tate "none has so far been traced that shows exactly the same view." It is known, however, that the artist based many compositions on postcard images, particularly as he grew older and less inclined to go out in public. By 1909, Utrillo's alcoholism had begun to take a serious toll on his health. Combined with serious depression, the ill effects forced him into a sanitorium frequently. When not hospitalized, he was often watched over by a family member either in his studio or in a hotel room. Either way, he was not capable of going out and drawing or painting. That began the practice of Utrillo working from postcards rather than on site. His mother and stepfather, Valadon's second husband, would bring the artist postcards so that he could continue painting, which provided a welcome distraction from his agony. Indeed, a painting Utrillo produced nearly twenty years after he painted this one is similar to the extent that both must surely have been based on the same mysterious original image. According to the Tate Museum, "Certain minor differences suggest that Utrillo made a few compositional adjustments in painting the present work, for example by widening the low building second from left, so that it almost blocks off the side street, but in the later version followed his model more literally." This picture features bright colors muted only by the winter light, not unlike those seen in the earlier work from Montmagny. Further and quite symbolically, these are the colors of a slightly worn, lustreless, cold, and seedy Montmartre, the site of, basically, of the artist's ongoing deterioration. The image is not without cheer, but it is quite subdued. Evidently, this and several other of Utrillo's works were signed by his mother, Suzanne Valadon, rather than the artist himself. This was because his major patron, the collector Louis Labaude, disliked having Utrillo's haphazard signature on the paintings he acquired and insisted Valadon sign them instead. Another Montmartre landmark, the Berlioz House was located on the corner of the rue du Mont-Cenis and rue Saint-Vincent. Composer Hector Berlioz and his wife lived in the house between 1834 to 1837, long before Utrillo came to paint it. In 1911, the Cubist painter, Georges Braque, established his studio in the house and Utrillo may actually have begun the painting around that time, finishing it a few years later. Indeed, the Musée de l'Orangerie suggests that he may have reworked the painting, adding the French flag in 1914 after war was declared. Utrillo is considered to have reached the height of his career between 1912 to 1914. This particular work was produced during that two year stretch that has been referred to as his "White Period," because white dominated his paintings at that time. In order to make the white paint even thicker, almost like mortar to build up his two-dimensional structures, he often added plaster, which he applied to the canvas using a palette knife rather than a brush . This painting, while heavily impastoed, is ironically one displaying little pictorial depth. Rather than creating the illusion of volume, Utrillo emphasizes the geometry of the buildings on this particular corner of Montmartre. It is very likely that the influence of Cubism exerted itself very strongly in his work from the period, including his choice to represent the very building where one of the inventors and major proponents of the Cubist style was working. As with other Cubism-inspired (if not fully Cubist) works, this painting features nearly flat forms arranged in shallow pictorial space and the characteristic pale, almost monochromatic Cubist palette. Additionally, Utrillo abruptly changes viewpoints between the two structures pictured here so that the only real depth in the picture is seen in the kind of fragments of shape that the buildings comprise. The two facades of the house are depicted simultaneously here, from two different viewpoints. Utrillo's painting commemorates an important moment in the development of modern art and a monument thereof. Not long after he produced the painting, the Berlioz House was demolished. Like so many of his other works, this painting is almost certainly based on an image from a postcard representing the village, Maixe, located near Luneville in Lorraine in eastern France. Utrillo emerged from his "white period" into a more colorful and animated one. It seems likely that the return to brighter palettes and more volumetric forms of artists like Matisse and Chagall in the Post-Cubist period must have been influential for him. There is an almost celebratory air to the work as locals from the village seem to step forward, offering themselves for a group portrait of the region so distant from the large capital city of Paris. By the 1920s, Utrillo had begun moving away from the near flatness of his earlier, more austere, Cubism-inspired compositions and had instead begun demonstrating an interest in describing depth and color, as though breathing life back into his scenes of village and city life. The figures, like the simple, geometric volumes of the buildings are described in an acutely minimalist way so that they are largely comprised of solid areas of color and heavy outlining. In this scene, the Town Hall actually appears in the middle ground and it is instead the people of the village of Maixe on which Utrillo has directed his focus; they have come out to celebrate - seemingly an event of national importance as the French flag claims the central spot in the picture. They stand before a white wall and behind them the city cascades downward, away from the picture plane. In 1927, the young Cypriot, Paul Petridès, moved to Paris. Aspiring to be a tailor, he began working as an apprentice to a well-known gentlemen's tailor, Mazella, who had begun acquiring the work of avant garde artists like Picasso, Vlaminck, and Utrillo. Petridès was most taken by the works of Utrillo, who was by the late 1920s legendary in his reclusiveness. The young dealer eventually arranged to meet Utrillo, a meeting that was coordinated by Valadon, who encouraged Petridès to offer Utrillo a new "blue suit" in exchange for the introduction, and began expanding his collection, which became the largest collection of Utrillo's works. Indeed, this work, signed by the artist with his frequent inscription, "Maurice. Utrillo. V.," the latter referencing his mother's name, was inscribed on the stretcher by Petridès: "Peint pour moi par Utrillo, décembre 1940, acheté chez Paul Petridès..." ("Painted for me by Utrillo, December 1940, purchased by Paul Petridès..."). This colorful painting depicts one of the many winding streets in the labyrinthine area of Montmartre, which retained the feeling of a village separate from the bustle and din of the city of Paris. The work belongs to what has been dubbed Utrillo's "periode colorée" or "color period," which extended from 1922 until he died in 1955. Ironically, while critics later identified his so-called "white period" as the most successful stretch of his career, possibly because his style was then so closely in-sync with that of the Cubist circle, it was only when Utrillo began incorporating color back into his paintings that they began to sell with any real regularity. The curving, cobbled street, rue Saint-Rustique, that cuts through the center of this painting leads the eye upward toward the most unquestionably recognizable landmark of the Montmartre quarter: the church of Sacré-Coeur. A pair of figures, seemingly a man and woman, make their way like pilgrims up the otherwise deserted street toward the church. They are described with minimalist brushstrokes, their clothing solid patches of color and their limbs essentially quick slashes of the brush. Utrillo's expressionistic brushwork and colors suggest the influence of artists like Matisse and Chagall, among others, who had rejected Cubism for less restrained forms of expression.